¡Hola chicas! El fin de semana ya está aquí y yo me bajo de los tacones y me pongo cómoda con unas sneakers y mi sudadera Le Cool de Mango. Nada como los looks deportivos, ¿verdad? ¡¡Feliz fin de semana!! Hi dolls! The weekend is here! 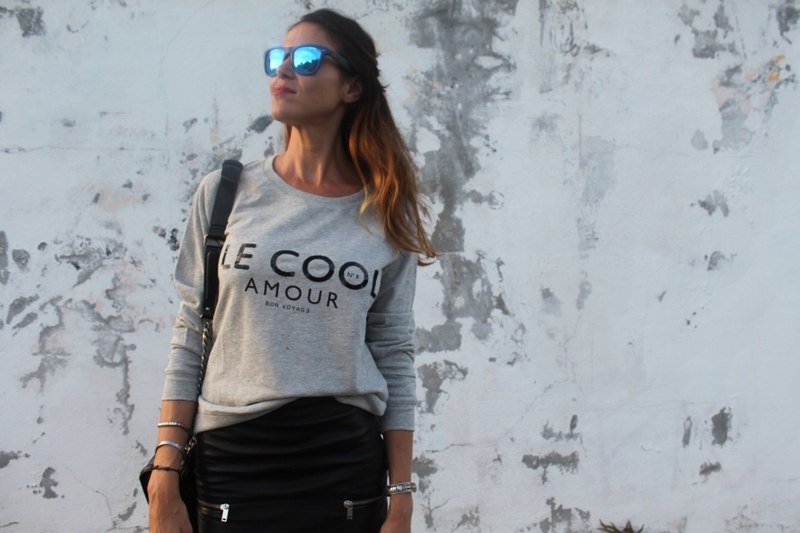 And I get off my heels to get comfortable with some sneakers and my sweatshirt from Le Cool by Mango. 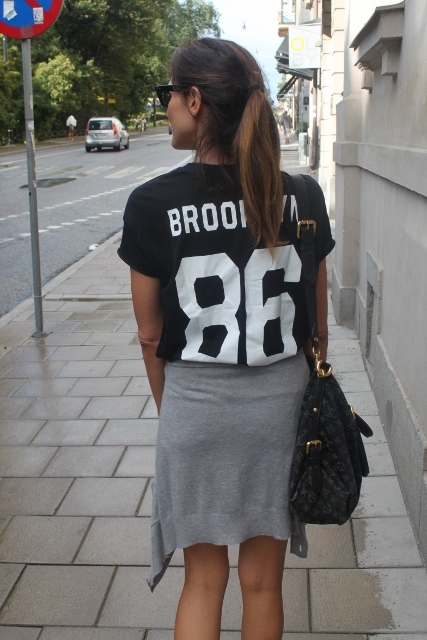 Sporty looks are the best! Don´t you think? Happy Weekend!! 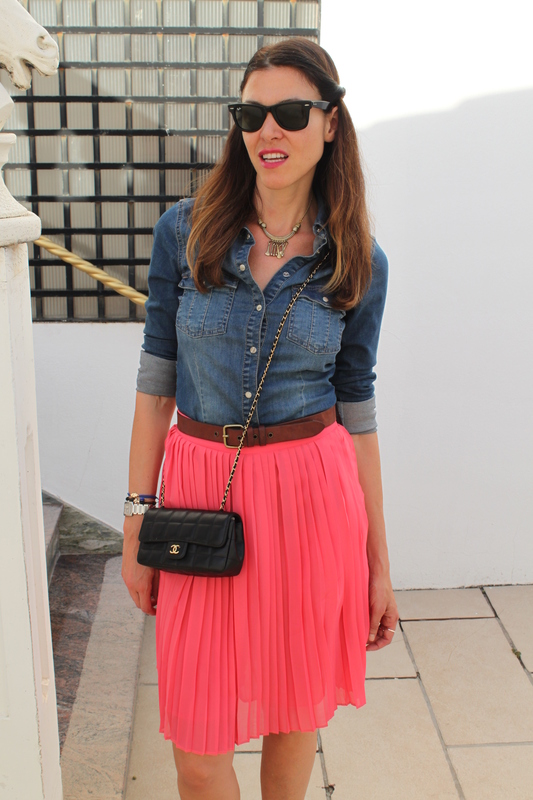 Leather Skirt/Bag: Zara. Sneakers: Converse. Ring: Mango. Sunnies: Mirrored Ray Ban. 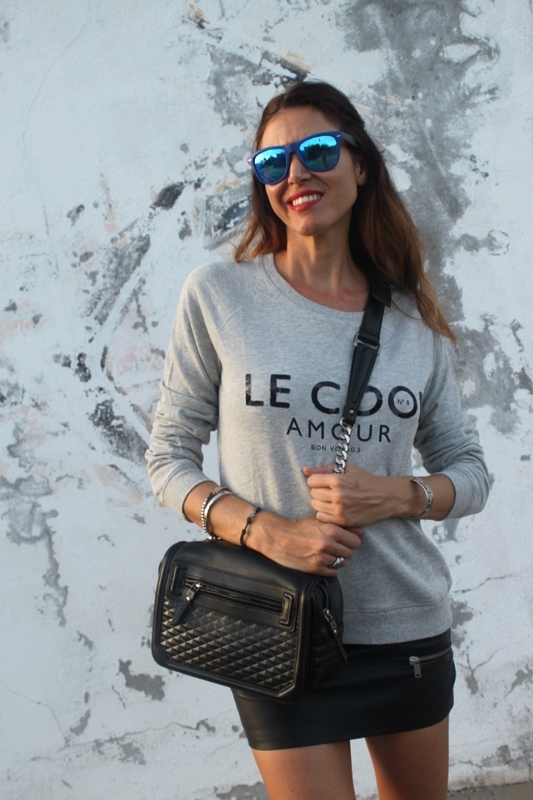 Esta entrada se publicó en Fashion y está etiquetada con El fin de semana, Happy Weekend, loos deportivos, mango, sneakers, Sporty looks, sudadera Le Cool de Maggo, sweatshirt Le Cool by Mango en octubre 10, 2013 por shareasecret. ¡Hola chicas! Os dejo con unas fotos de mis andadas por Estocolmo hace un par de semanas. Nada como hacer turismo con unas buenas deportivas, ¡aunque si lo haces sobre un monopatín mejor! ¡¡Un gran sí a los looks cómodos!!. Hi beauties! Here are some snaps from my trip to Stockholm few weeks ago. 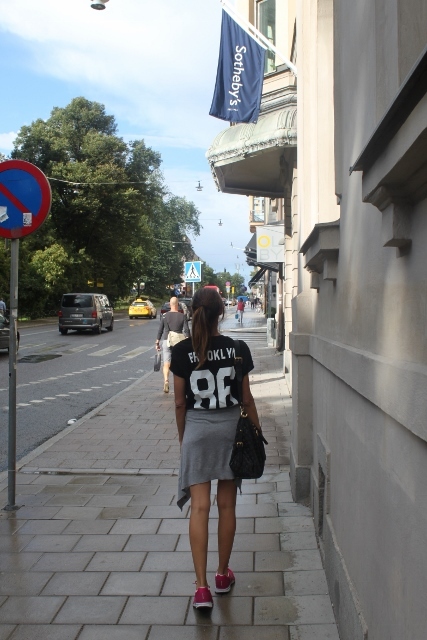 Nothing like a casual look with sneakers to do some sightseeing, although if you do it on a skateboard even better! Keep smiling! More!!!. Tee/Blazer: Zara (ss13). Shorts: Hollister (ss13). Cardigan/Belt: Mango. Nike Pegasus. Bag: Louis Vuitton. Esta entrada se publicó en Fashion y está etiquetada con beauties, cardigan, deportivas, hollister, Hollister Jeans, Louis Vuitton, mango, Nike Pegasus, skateboard, sneakers, Stockholm, tryp, Zara number tees en agosto 27, 2013 por shareasecret. ¡Hola chicas! Christian Louboutin, es el diseñador de los zapatos más deseados del mundo. Unos diseños impresionantes con tacones y plataformas de infarto. La mayoría de belleza admirable y muchos imponibles, del dolor que te causan. Él lo sabe y no se cansa de decir, en recientes entrevistas, que “sus zapatos no son para estar cómoda, para eso te pones unas zapatillas”. ¡Y parece que todos los diseñadores le han hecho caso, porque nunca lo Sport había sido tan Trendy! ¡Gracias Louboutin, eres el mejor!. “Si no puedes caminar con ellos, simplemente no los lleves”… C. Louboutin. Hello beautiful dolls!! Christian Louboutin is the designer of the world’s most desired shoes. Stunning designs with killer heels and platforms. Shoes of an admirable beauty and many causing unbearable pain! He knows and never gets tired of saying that his shoes are not made for comfort. “If you want comfort wear trainers”. And it seems that all the designers have used his words for inspiration because Sneakers have never been so trendy! Thank you Louboutin, you’re the best!. “If you can´t walk with them, just do not wear them”… C. Louboutin. Shirt: Zara. 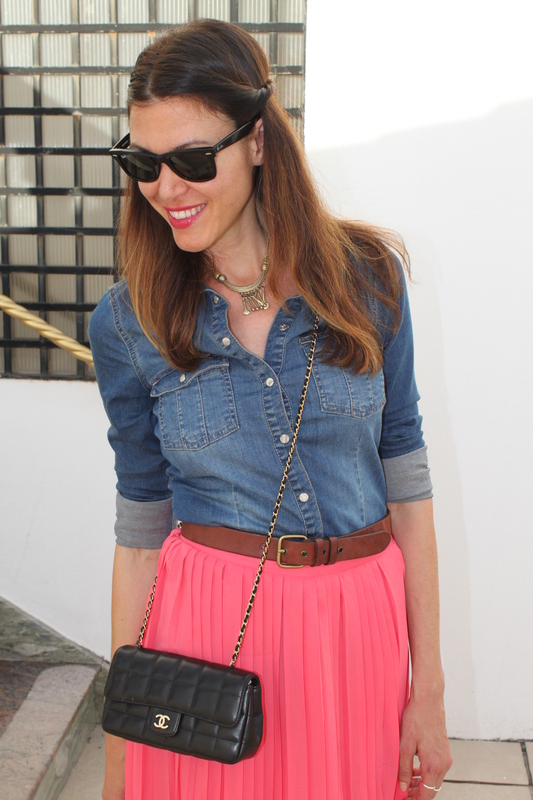 Skirt/ Belt: Mango (ss13). Purse: Chanel. Pendante vintage. Rings: H&M. Esta entrada se publicó en Fashion y está etiquetada con Chanel, Chanel purse, Christian Louboutin, If you can´t walk with the don´t wear them, Keep Calm and Put your Louboutin ON, killer heels, mango, sneakers, Sport, stunning designs, Style, Trendy, unbearable pain, Zara en mayo 14, 2013 por shareasecret. Las chaquetas militares están pegando con fuerza temporada tras temporada. ¡Ésta azul de Zara (aw12) me rechifla!. Junto con unas deportivas son una combinación perfecta para pasear un día por la ciudad. Las que llevo son de Bershka (aw12) y son de los más cómodas, tanto que hasta me las pongo para salir de noche en muchas ocasiones. Y es que unas sneakers+ estilo Militar= ¡pareja perfecta!. Military jackets are hitting hard season after season. I love this blue one from Zara (AW12)!!. Together with sneakers are the perfect combination for a day around town. The ones I am wearing from Bershka (AW12) are suuuuuper comfortable, so much so that I wear them for a night out on many occasions!!!. 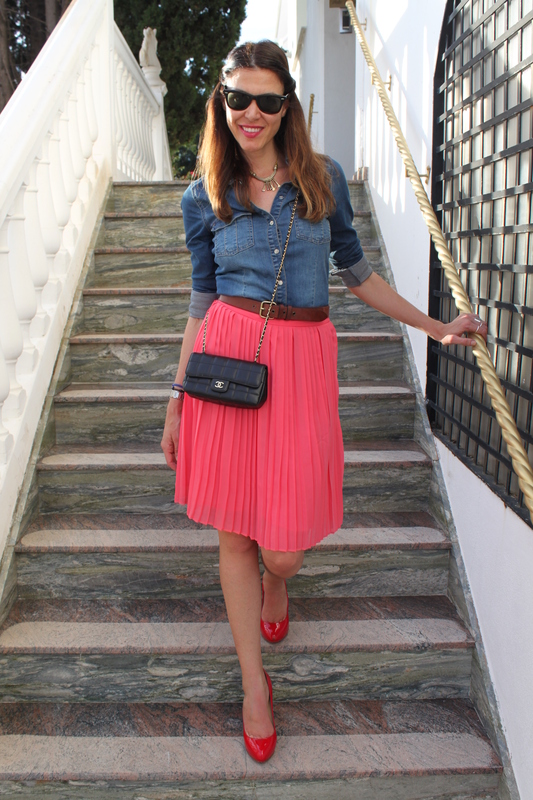 Sneakers+ militar style= Perfect match!!!. 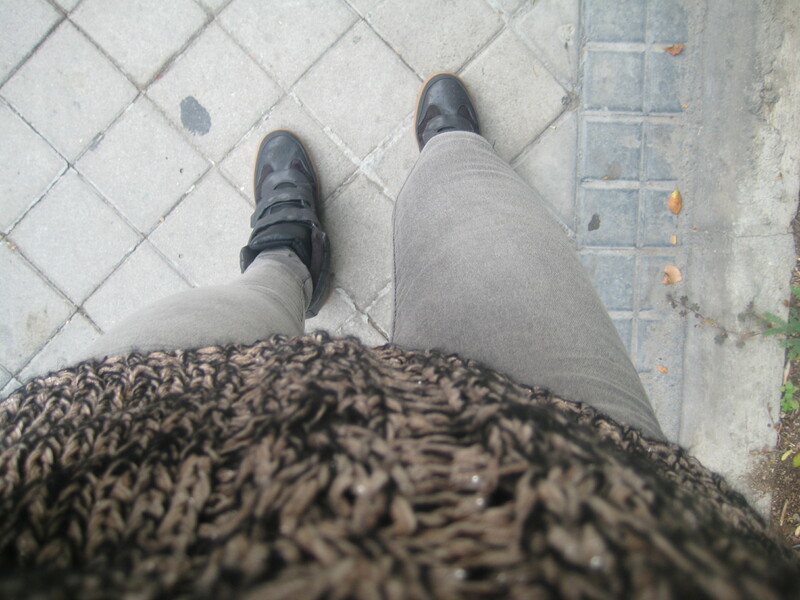 Jeans: Bershka (aw12); Sweater: Zara (aw12). Clutch: Gucci Vintage. Star pendant: Swarovski. Esta entrada se publicó en Fashion y está etiquetada con Abrigo militar Zara, Bershka, Chaqueta militar azul, chaquetas, deportivas, Gucci Vintage, Militar Style, military jackets, pareja perfecta, perfect combination, perfect match, sneakers, Swarovski, y son en octubre 29, 2012 por shareasecret.